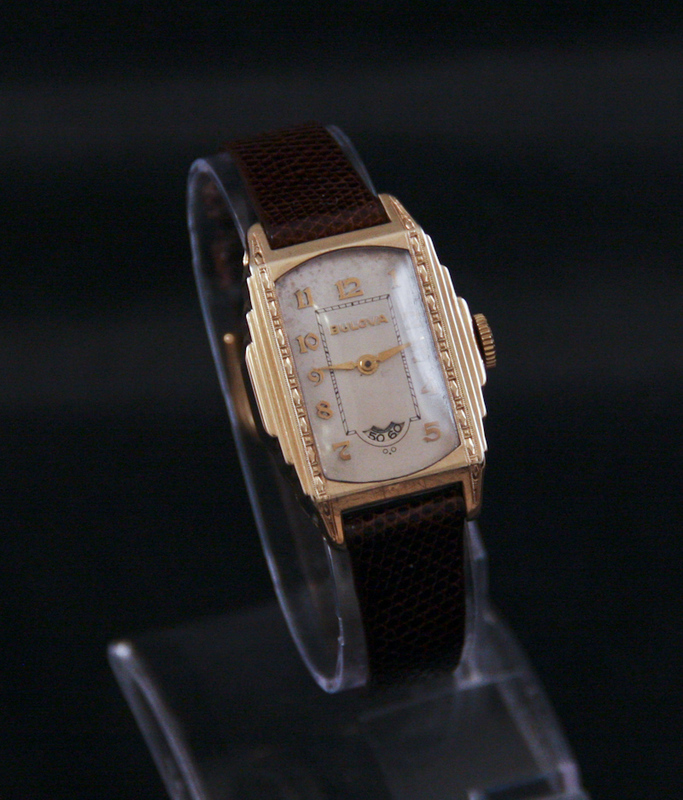 An excellent example of a rare and highly collectible art deco era watch. Category: Sold Watches Archive. 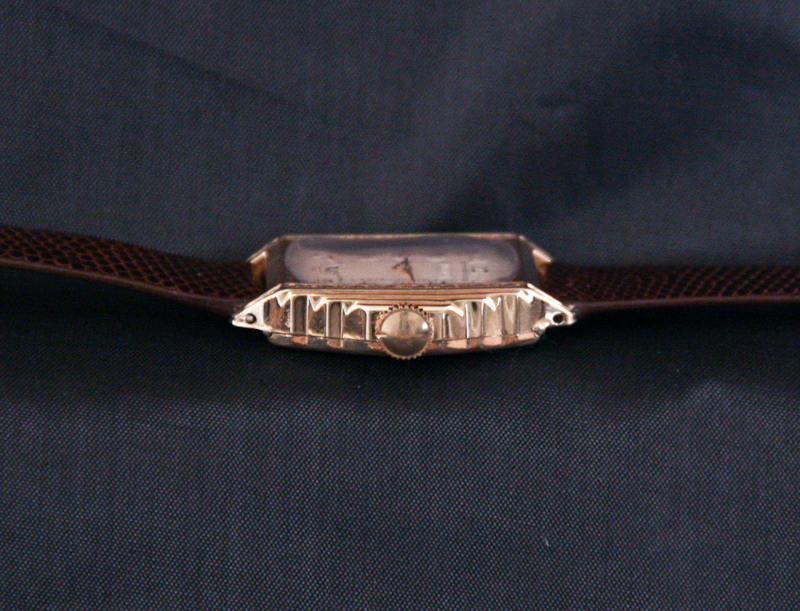 Tags: 10K gold filled, 1930s, 21 jewel, art deco, recently serviced, tank, yellow gold. The wandering seconds variation of the Bulova President is undoubtedly one of the most sought after of the 1930s collector’s watches. This example is in Excellent condition and has been recently cleaned, oiled and adjusted. The “wandering seconds” label refers to the unique way the seconds are displayed. 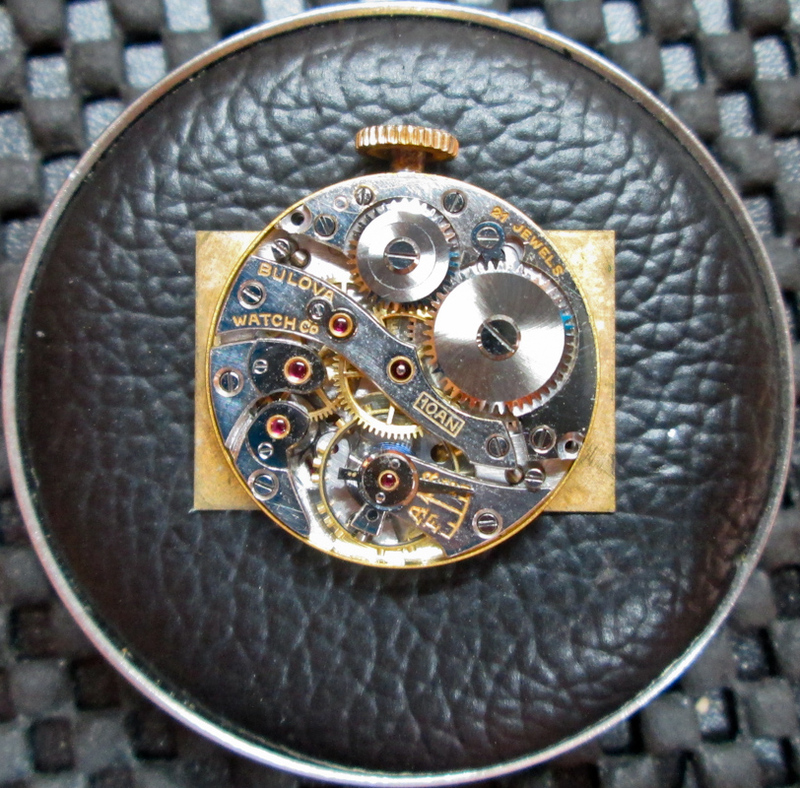 Instead of a seconds hand, the seconds ticked by in a small window near the 6 0’clock position of the dial. 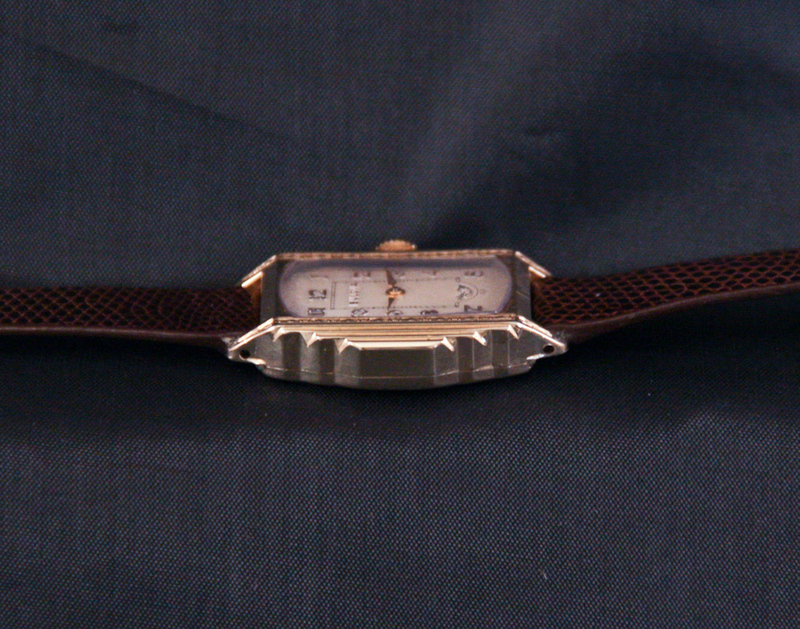 This unique approach to displaying the seconds was produced for only a limited time and, due to the high price, in relatively limited numbers. 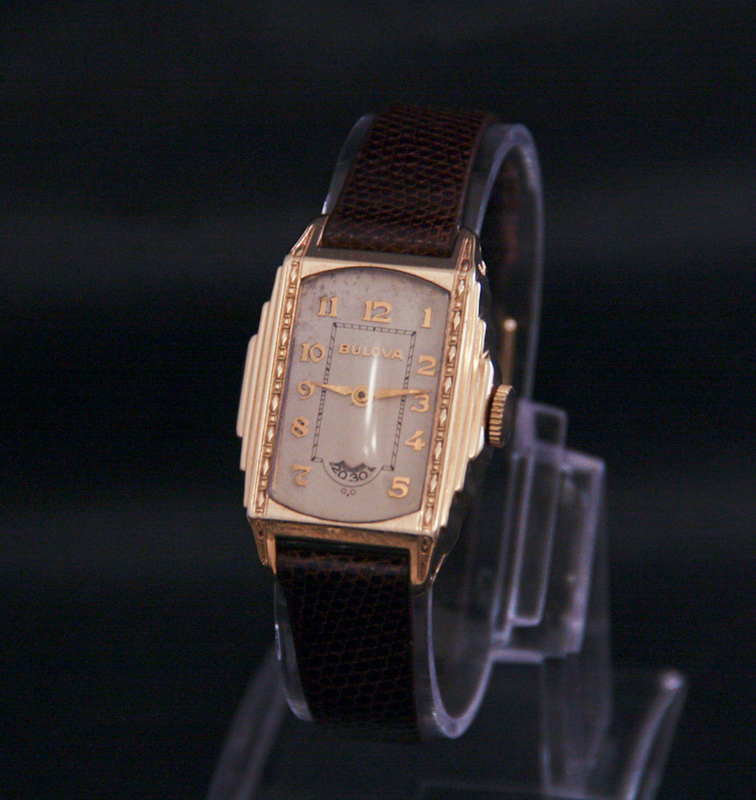 The watch sold for $49.50 in 1935 — the equivalent of well over $800 today. 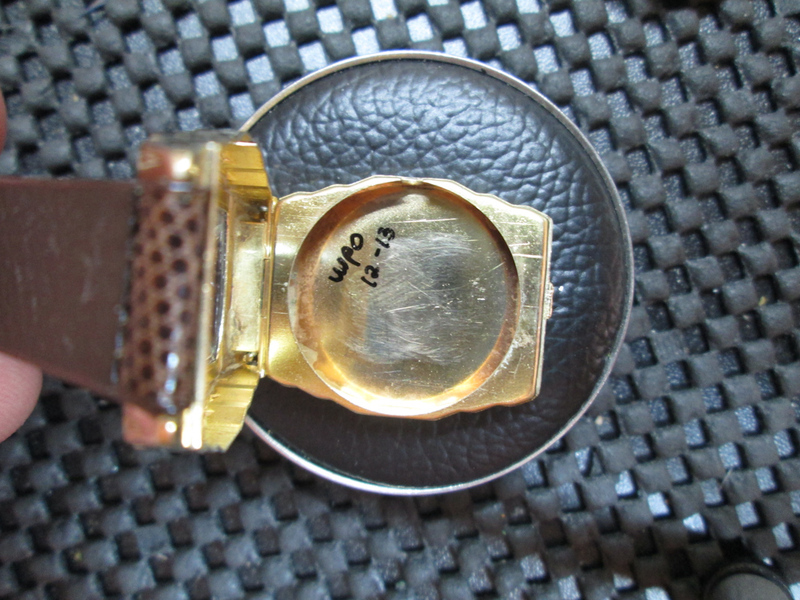 The dial on this watch is in Very Good condition with only some minor spotting. The hands are in Excellent condition with no oxidation. 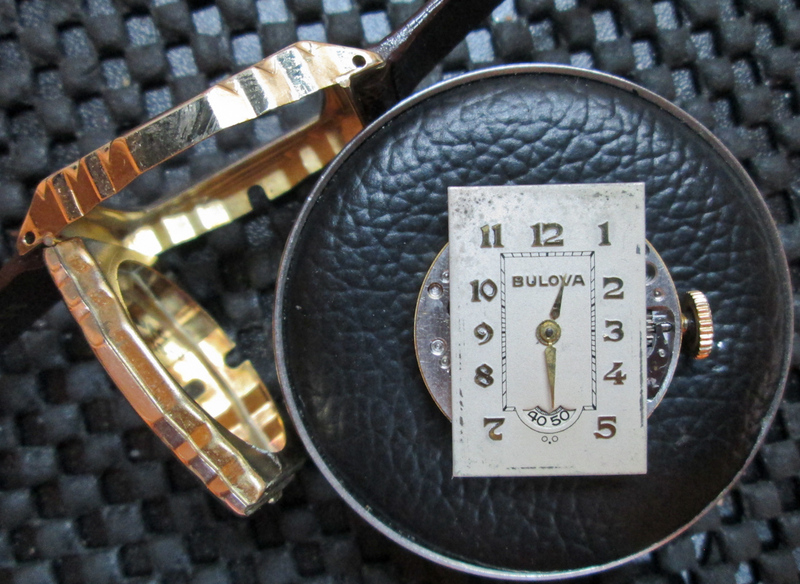 The watch is powered by Bulova’s high quality 21 jewel movement, the 10AN. This movement was serviced by us in January 2014 and is running smoothly and keeping good time. 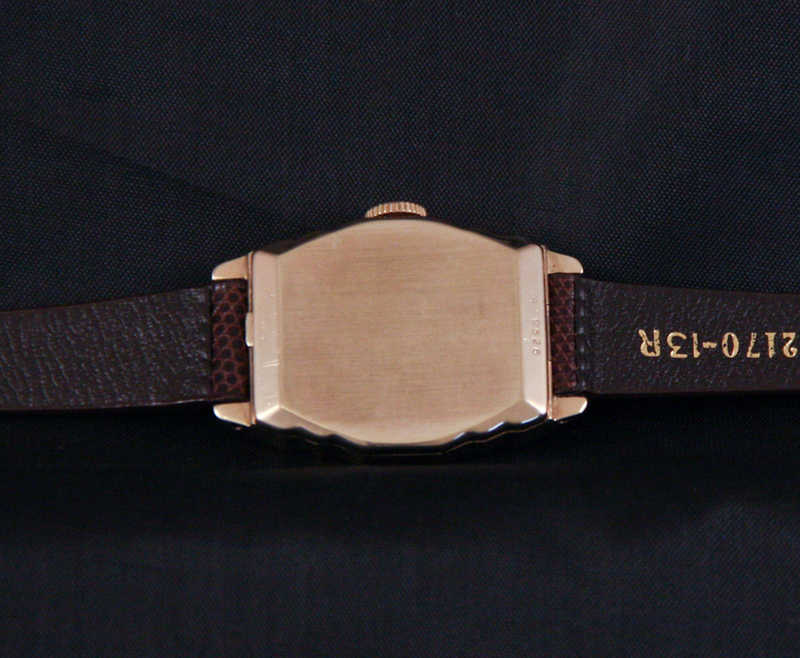 We’ve added to this watch a new leather band — it’s ready to wear.